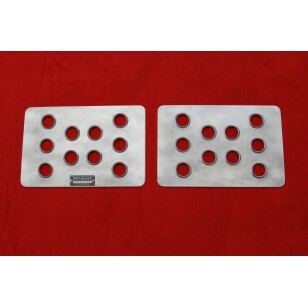 Anti-slip aluminum floor for BMW E30. Simple mounting directly on the bare body. Made of 3mm aluminum sheet, pressed holes. Weight - 4,8kg with mounting material .The price is in two pieces.Made in Slovakia . Aluminium floors for racing cars . 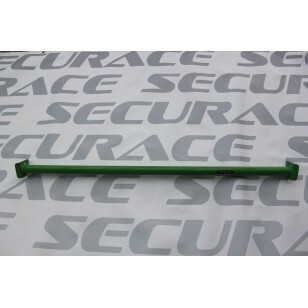 Anti-skid opening .Flooring dimensions 30 x 20 cm. The price is for a couple. 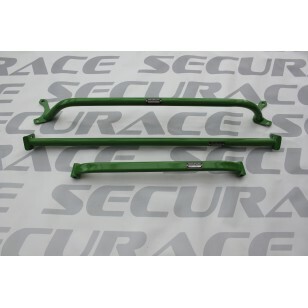 One-piece steel strutbar for Lancia Beta 1972-1984. 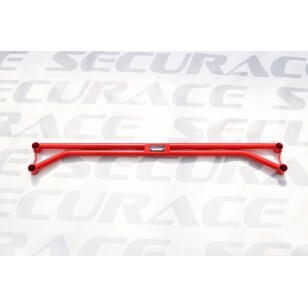 Improves vehicle's handling, minimizing body twist. Hand made in Slovakia. 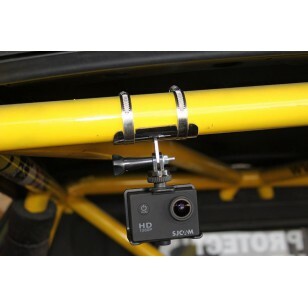 Reliable camera attachment to the safety frame in the race vehicle. The stainless steel bracket simply snaps into the frame. 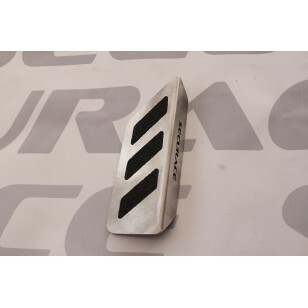 Alu left foot for Citroen C3 model 2016 and more. Easy Velcro fastening. Made in Slovakia .